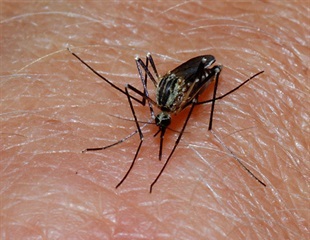 In an article published today in Lancet Planetary Health, a team from the Ifakara Health Institute (IHI) and Liverpool School of Tropical Medicine (LSTM), provides evidence that even window screens with no insecticide suppressed mosquito populations and dramatically reduced malaria prevalence in the Tanzanian city of Dar es Salaam. Scientists at the Institute of Genome Sciences at the University of Maryland School of Medicine have developed a novel way with genome sequences to study and better understand transmission, treat and ultimately eradicate Plasmodium vivax, the most widespread form of malaria. P. vivax is a single-celled transmitted by mosquitoes. A team of researchers from the Singapore University of Technology and Design and Nanyang Technological University have developed novel ferrocene-based molecules that impair the malaria parasite's metabolic function leading to parasite death. A study led by the Barcelona Institute for Global Health (ISGlobal) - an institution supported by "la Caixa" Foundation- reveals a new mechanism by which the malaria parasite Plasmodium falciparum converts from its asexual to its sexual form, which can be transmitted to the mosquito. A scientist at the University of California, Riverside, who researches the malaria-causing parasite, Plasmodium falciparum, is the principal investigator, or PI, on two grants from the National Institutes of Health, or NIH, totaling nearly $6.6 million. Funding from each grant is for five years. A new mathematical model for malaria shows how competition between parasite strains within a human host reduces the odds of drug resistance developing in a high-transmission setting. Researchers from the National Institutes of Health and other institutions have deciphered the role of a key protein that the malaria parasite Plasmodium falciparum uses to obtain nutrients while infecting red blood cells. New drug-resistant strains of the parasite that causes malaria tend to evolve in regions with a lower risk of malaria. This is because in hard-hit areas with high transmission rates, like sub-Saharan Africa, they get outcompeted by the more common, drug-sensitive strains inside the human host. The genome sequences of ape parasites related to Plasmodium vivax (P. vivax), the main source of mosquito-borne malaria outside Africa, provide insights on the origin and early evolution of the human parasite. Researchers at the Imperial College’s South Kensington campus have successfully created genetically modified mosquitoes that would stop them from multiplying and spreading dreaded diseases such as malaria, Dengue, Chikungunya and Zika that kill millions worldwide annually. A novel laboratory-synthesized molecule based in natural compounds found in marine gliding bacteria - known as marinoquinolines - is a strong candidate for the development of a new antimalarial drug. Researchers have made an important discovery about how Plasmodium falciparum (the parasite that causes malaria) is able to evade capture by the immune system. Researchers have shown that higher levels of Plasmodium falciparum antibodies are protective against severe malaria in children living in Papua New Guinea. Antibodies against multiple Plasmodium falciparum proteins (or antigens) can be measured using a simple, accurate and reproducible assay that requires very small amounts of blood. The World Health Organization today certified Paraguay as having eliminated malaria, the first country in the Americas to be granted this status since Cuba in 1973.